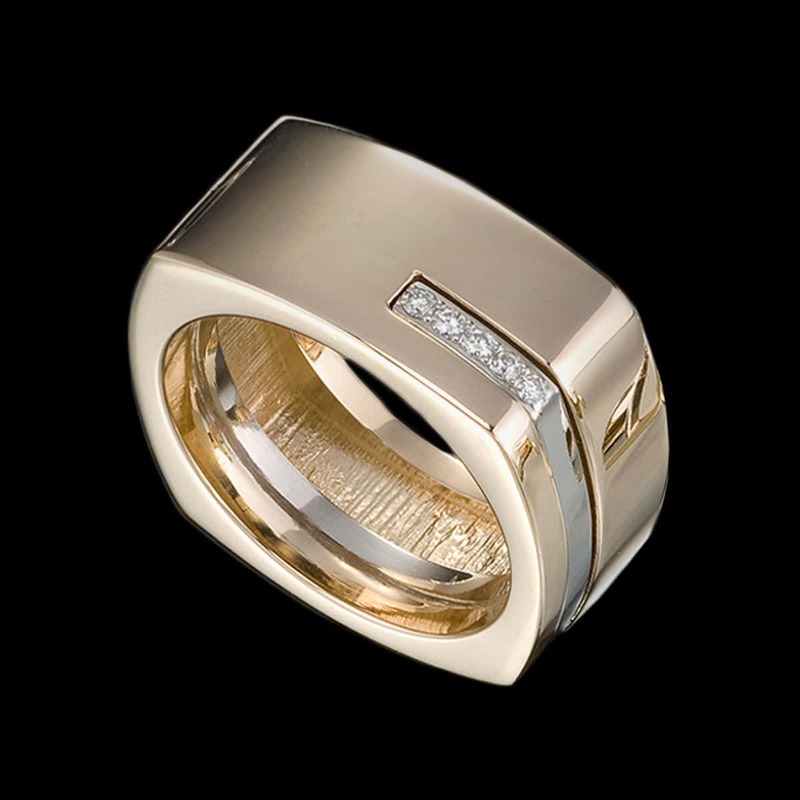 Quattro Men’s ring has substance and style. This unique ring design features simple, clean lines with two tones of gold and diamonds. To purchase, call us at (949) 715-0953 or use our contact form below.